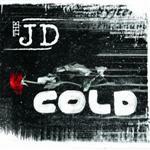 Already having established a name for themselves on the West Midlands local music scene, having played shows in Birmingham, Leicester and Coventry, The JD's offering Cold seems to have a very large reputation to live up to. The track Cold is already being played on Kerrang! Radio - however it does feel like a band going through the paces many other local bands. The hidden gem on the single is the b-side, Hidden Agenda, which manages to mash up at times a ska-feel to it while maintaining a very post-grunge edge to it. I found myself midi surfing while listening to the b-side, and I hope that this gets more radio play than Cold - it's Hidden Agenda that, although still has a formulaic, would be an energetic track to draw in listeners.